Walking down any of the following 10 streets will prove a feast for eyes and stomach. 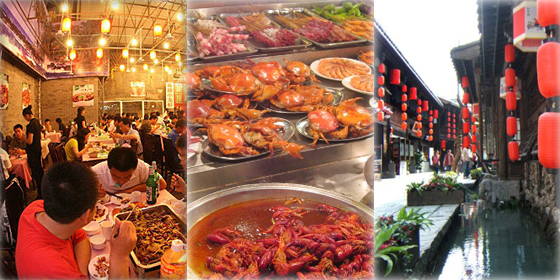 Check out China's 10 most popular snack streets right here! 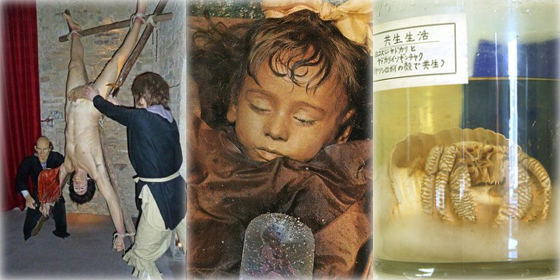 People who love creepy movies must not miss out on a visit to the following 10 most chilling museums in the world. The Western Zhou Tombs on Shigu Mountain, together with nine other important locations, makes up the top 10 Chinese archaeological discoveries in 2013. Check out the best scenic spots across this beautiful pasture in northwestern China. Three well-known Chinese historical attractions have made it into the top 10 greatest wonders of the world according to the Daily Mail on Mar. 27. As the "Roof of the World," Lhasa has an exotic mysticism to it, enticing many travelers to visit the area. Check out the region’s top 10 attractions! Large airports boast huge spaces and often deluxe facilities, but they should also feature good service, sensible design and nice catering to gain a good reputation. Plane crashes are deadly, but miracles do exist. Take a look at some miraculous tales of survival as search goes on for missing flight MH370. Want to pick a safer airline for your next trip? Here are some options for you to choose from. Spring Festival is almost here! 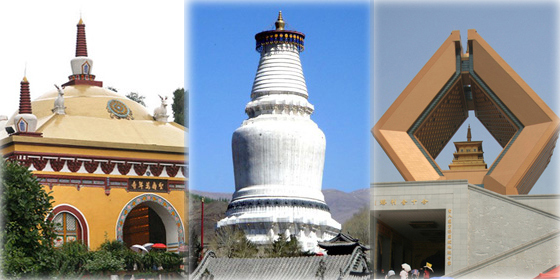 Come with China.org.cn to find China's top 10 temples to offer prayers for good luck for the coming year. During the scorching summertime, the heat may keep you locked inside your air-conditioned living room or office, but the following 10 mountains might prove good alternatives! Are you busy working in a big city? Take a break and go on a relaxed trip to one of China’s top 10 leisure cities! Enjoy the picturesque scenery and distinctive architecture in these beautiful villages, and experience the peaceful lifestyle of the local people. 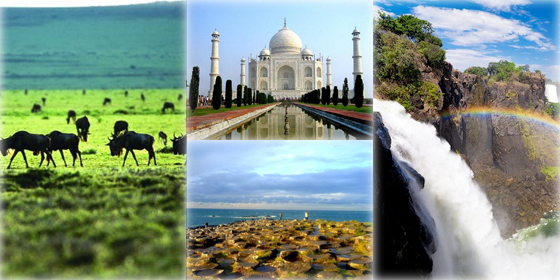 Rivers, as important sources of life on our planet, are many globetrotter’s favored travel destination. Let’s take a look at the world’s top 15 options for your next riverside trip. There are still a great number of mysteries in the world that have yet to be solved by mankind. Follow us in exploring seven of the world’s most enigmatic cultural sites. As the capital of Yunnan, Kunming is known as the City of Perpetual Spring for its all-year-round spring climate. It is one of the most popular tourist destinations in China. Climbing to the top of the Yellow Crane Tower or enjoying the cherry blossoms on the Wuhan University campus are all good options when traveling in Wuhan. As the hometown of many Chinese literati and the place where numerous historical remains were unearthed, Changsha is a city rich in both history and culture. Dunhuang, renowned for its prosperity throughout history, is now a county-level city under the administration of Jiuquan City, Gansu Province. Here follow the city’s top 10 must-sees! Fuzhou, a city in south China across the strait from Taiwan, is famous for its sea views, mountains and historical sites.